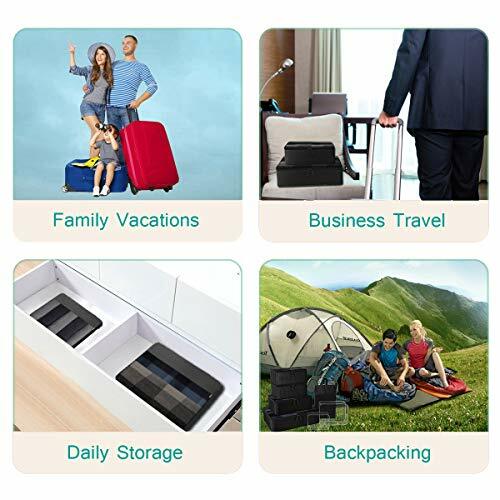 —We committed to provide our customers more valuable and practical travel accessories. —Worry-free about any issues in use, we provide the 100% satiafaction guarantee and lifetime warranty service. 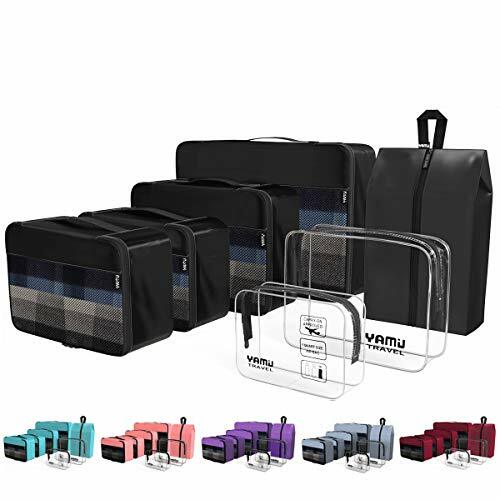 Perfect Travel Partner—We have a set with 7-pieces to fit all your travel needs into the suitcase, clothes & shoes & toiletries, seprate your stuff from each bag to keep the suitcase clean and tidy. Not Travel Only—Place cubes/bags in a drawer or cabinet, conveniently categories your daily storage. A necessary travel partner, even more a essential life helper. How to meet your travel needs? 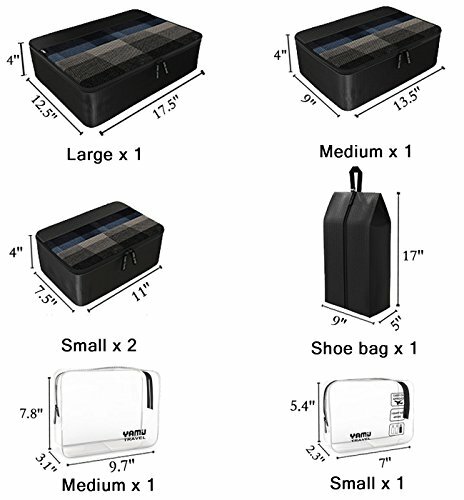 —4 inch depth design of cubes, enough to fit more clothes. To be easy to fit in the suitcase, the length and width design are more appropriate, not too big or too small. 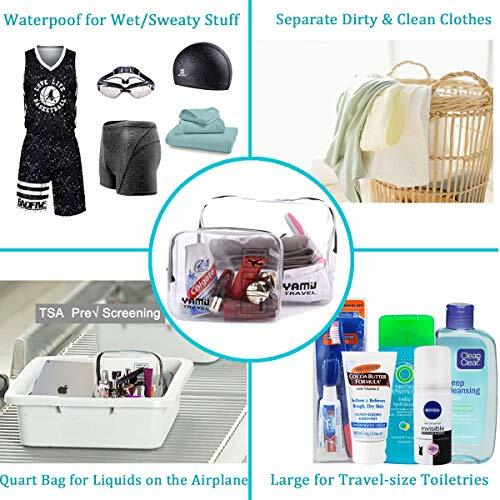 —Extra travel quart bag for your travel size toiletries on airplane, quickly throught the security check than others. Not enough? Look, also a larger clear bag for you to fit the full size toiletries. 2-pack clear bags are waterproof, also fit for dirty/sweaty clothes. 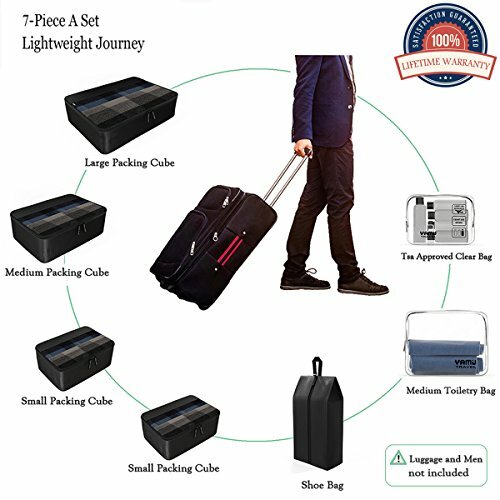 —Travel Cubes for Packing: The top mesh grid and zipper part are not waterproof. —Due to different camera, light environment and display, the physical color will be a little different from pictures. 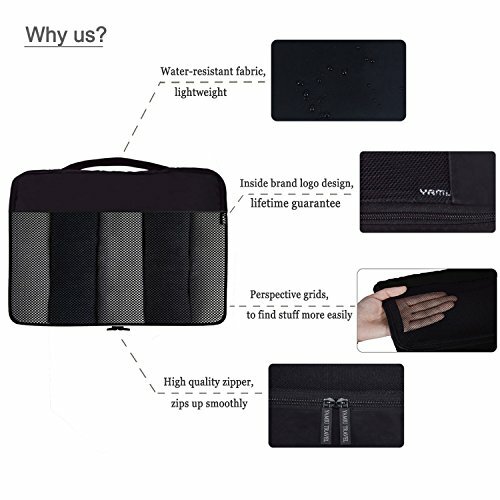 【Lightweight & Considerate Design】Super lightweight and high quality nylon fabric with strong double zippers without adding significant weight to your suitcase; Grid design of packing cubes and clear material of toiletry bags, finding items easily & save your time.